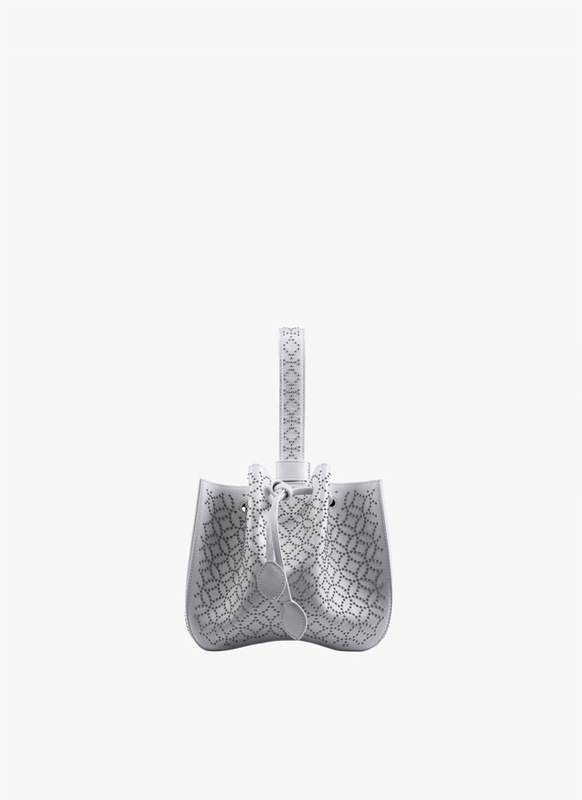 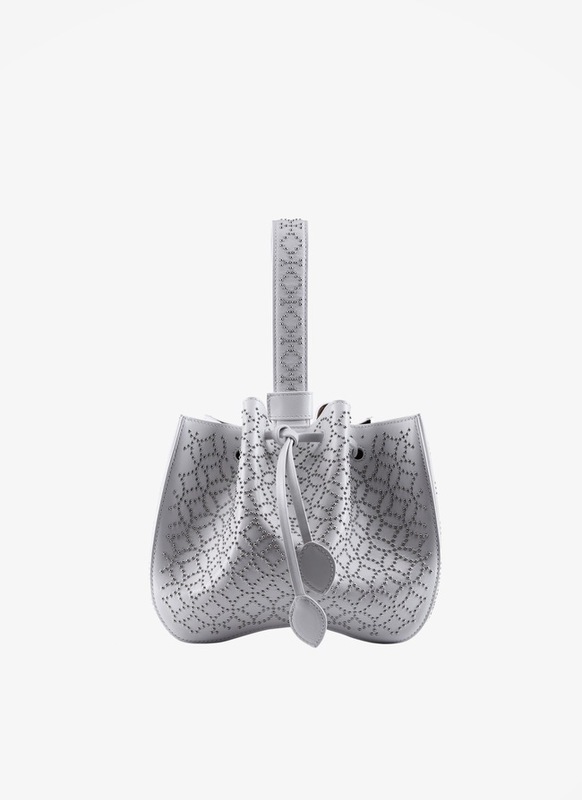 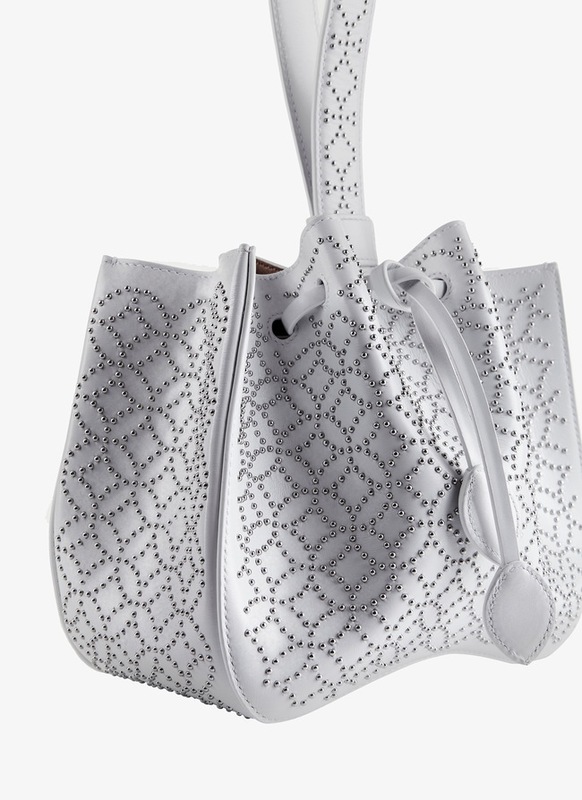 The Rose-Marie handbag features a bracelet handle and drawstring closure. 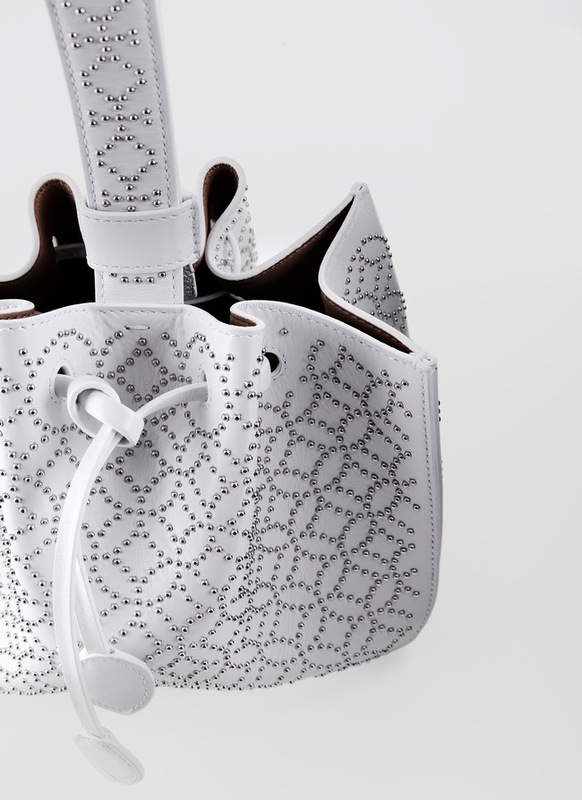 In optical white leather with signature Arabesque studding. A tab on the bracelet slides up to open the bag.